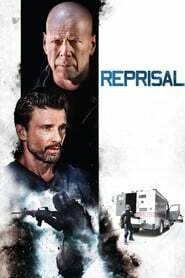 : Jacob, a bank manager haunted by a violent heist that took the life of a coworker, teams up with his ex-cop neighbor, James, to bring down the assailant. While the two men work together to figure out the thief’s next move, Gabriel, the highly-trained criminal, is one step ahead. When Gabriel kidnaps Jacob’s wife and daughter, Jacob barrels down a path of bloodshed that initiates an explosive counterattack and brings all three men to the breaking point.